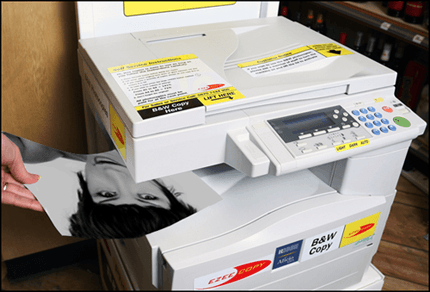 Ezeecopy deliver and install Photocopiers and Passport / ID Photo printing equipment to retail stores nationwide. You provide the location and the customers. We provide the installation, equipment, point of sale signage, training for your staff and all the consumables delivered direct to your door. Delighted customers and increased footfall through your store. Also available is our 2 in 1 Print Stand, which combines our self service A4 Black & White Photocopier and Passport / ID Photo Printer all on one compact stand. This enables you to generate two separate income-streams from the same small amount of floorspace – just 45cm x 45cm. Contact us for more information, or take a look at our Self-Service Photocopiers & Passport / ID Photo Printer.